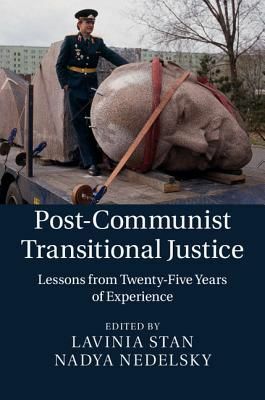 Taking stock of the twenty-fifth anniversary of the collapse of the communist regimes of Central and Eastern Europe, this volume explores the ways these societies have grappled with the serious human rights violations of past regimes. It focuses on the most important factors that have shaped the nature, speed, and sequence of transitional justice programs in the period spanning the tumultuous revolutions that brought about the collapse of the communist dictatorships and the consolidation of new democratic regimes. Contributors explain why leaders made certain choices, discuss the challenges they faced, and explore the role of under-studied actors and grassroots strategies. Written by recognized experts with an unparalleled grasp of the region's communist and post-communist reality, this volume addresses far-reaching reckoning, redress, and retribution policy choices. It is an engaging and carefully crafted volume, and it covers a wide variety of cases and discusses key transitional justice theories using both qualitative and quantitative research methods.